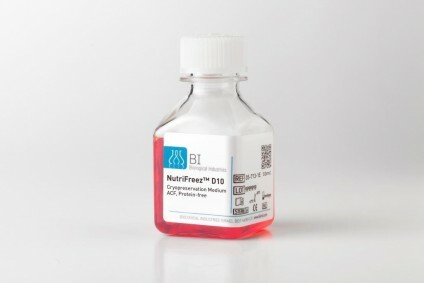 NutriFreez™ D10 Cryopreservation Medium is a ready-to-use, animal component-free, serum-free, and protein-free cell freezing solution optimized for multiple cell lines. 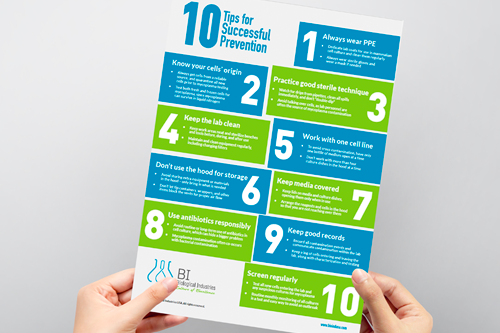 When culturing cells in a serum-free environment, it is essential to also maintain serum-free conditions during cryopreservation. NutriFreez™ D10 Cryopreservation Medium has been demonstrated to result in high rates of cell viability, proliferation, adherence (in relevant lines), and bioactivity/ expression following freezing and thawing. Superior results were obtained both in comparison with serum-containing freezing media as well as competing serum-free products, making this an ideal product for both serum-containing and serum-free applications. 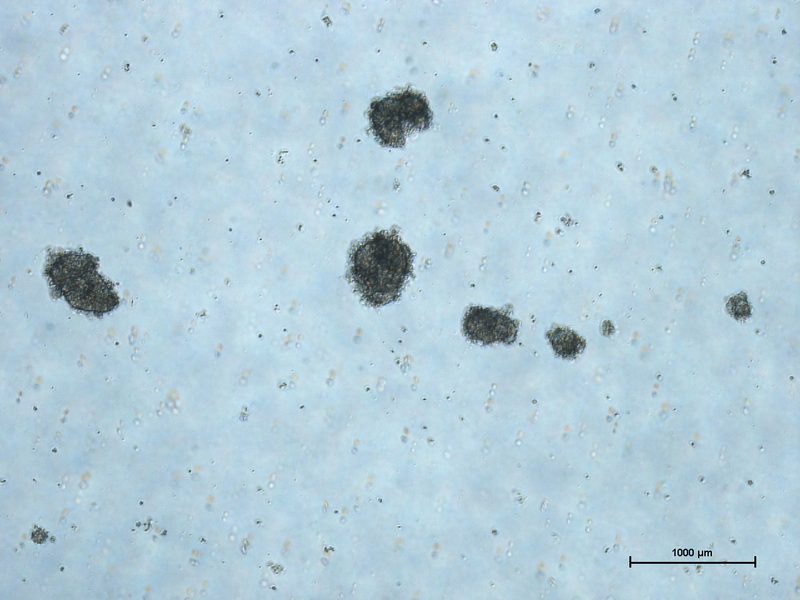 Results of a cryopreservation comparison performed at the Research and Development Center for Cell Therapy (Japan) on human pluripotent stem cells (hESC and hiPSC) show that NutriFreez™ D10 Cryopreservation Medium* presents best recovery rate for hPSCs after thawing (Nishishita et al. 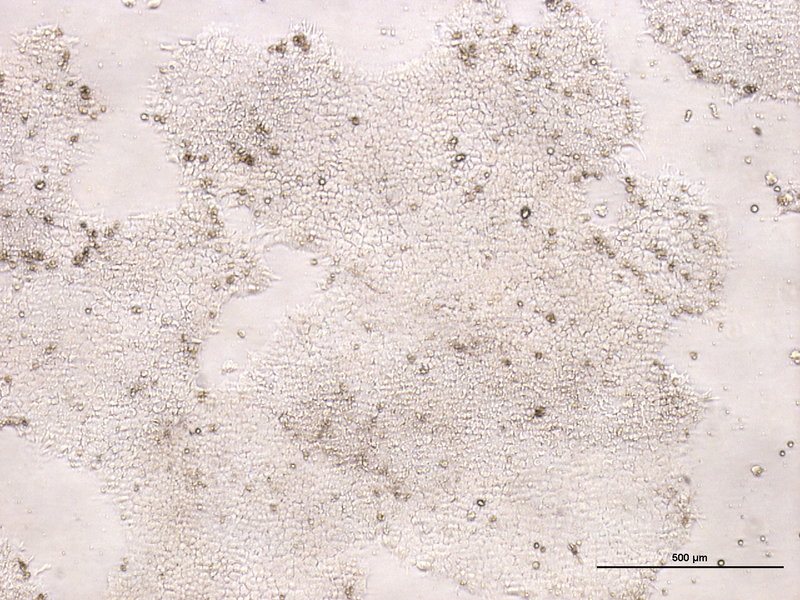 Am J Stem Cells. 2015). Furthermore, an evaluation of different cryopreservation agents for mesenchymal stem cells (MSC) performed at Ottawa Hospital Research Institute (Canda) shows that MSC cryopreserved in NutriFreez™ D10 Cryopreservation Medium exhibit the best post-thaw viability (Salkhordeh et. al. Cytotherapy, May 2018). hESC were frozen in NutriFreez™ D10 Cryopreservation Medium and were thawed into NutriStem® hPSC XF on Matrigel. 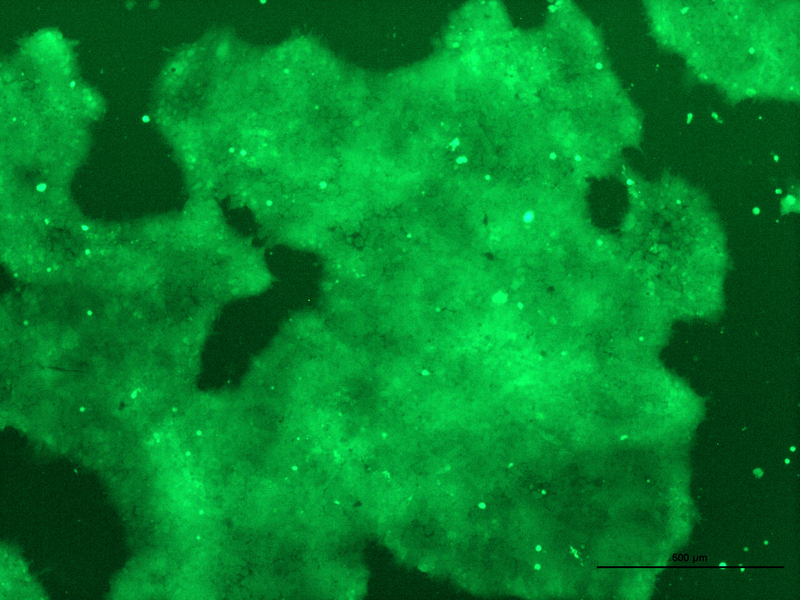 The cells maintain excellent attachment ability as well as growth performance. Centrifuge to pellet the cells at 200 - 300 x g for 3 to 5 minutes. Suspend the cell pellet in cold NutriFreez™ D10 Cryopreservation Medium at a concentration of 3 to 5 million cells/mL. Freeze the cells gradually (1 to 2°C per minute) and store them in liquid nitrogen. Viability and recovery of cryopreserved cells should be evaluated 24 hours after storage of vials in liquid nitrogen by following the thawing procedure outlined below. Thawing should be performed at 37°C. 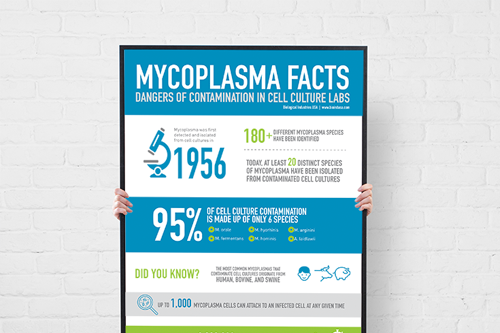 Immediately after thawing, suspend the cells in serum-free growth medium at a ratio of at least 1:10. 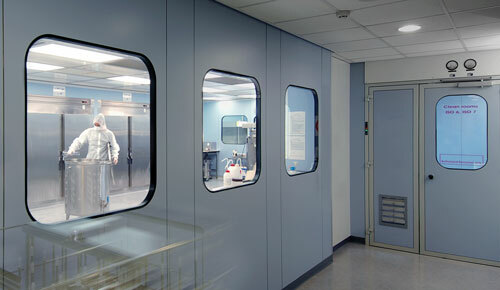 Centrifuge and suspend in growth medium as desired. 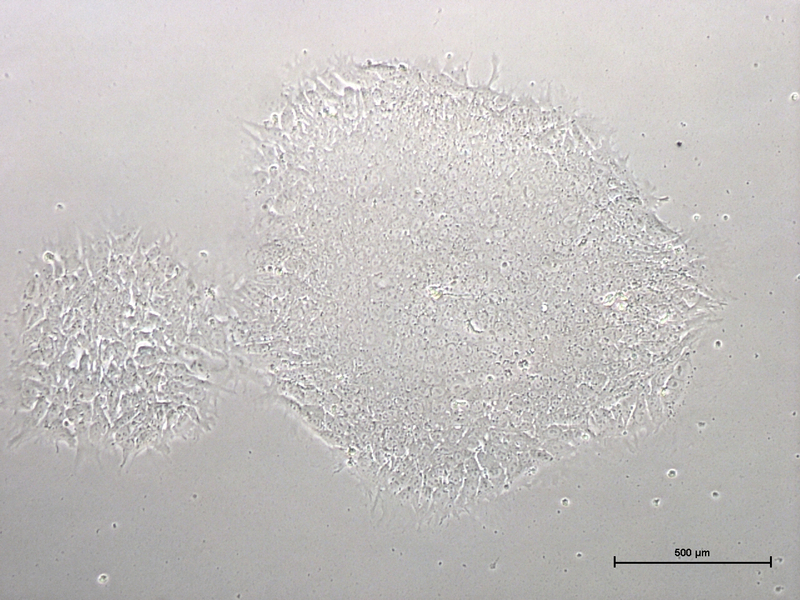 Culture the cells according to the recommended seeding density. G. Guo, et al. Epigenetic resetting of human pluripotency." bioRxiv (2017): 146712. 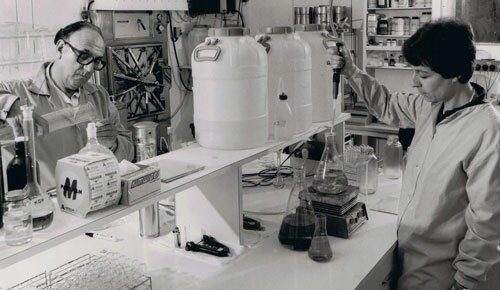 S. Reichman et al. Generation of Storable Retinal Organoids and Retinal Pigmented Epithelium from Adherent Human iPS Cells in Xeno‐Free and Feeder‐Free Conditions.STEM CELLS 35.5 (2017): 1176-1188. F. Pistollato, et al. Protocol for the Differentiation of Human Induced Pluripotent Stem Cells into Mixed Cultures of Neurons and Glia for Neurotoxicity Testing. JoVE (Journal of Visualized Experiments) 124 (2017): e55702-e55702. L. Tian et al. Efficient and controlled generation of 2D and 3D bile duct tissue from human pluripotent stem cell-derived spheroids." Stem Cell Reviews and Reports 12.4 (2016): 500-508. J. Chal et al. Generation of human muscle fibers and satellite-like cells from human pluripotent stem cells in vitro.Nature protocols 11.10 (2016): 1833-1850. M. S. Y Hiew. 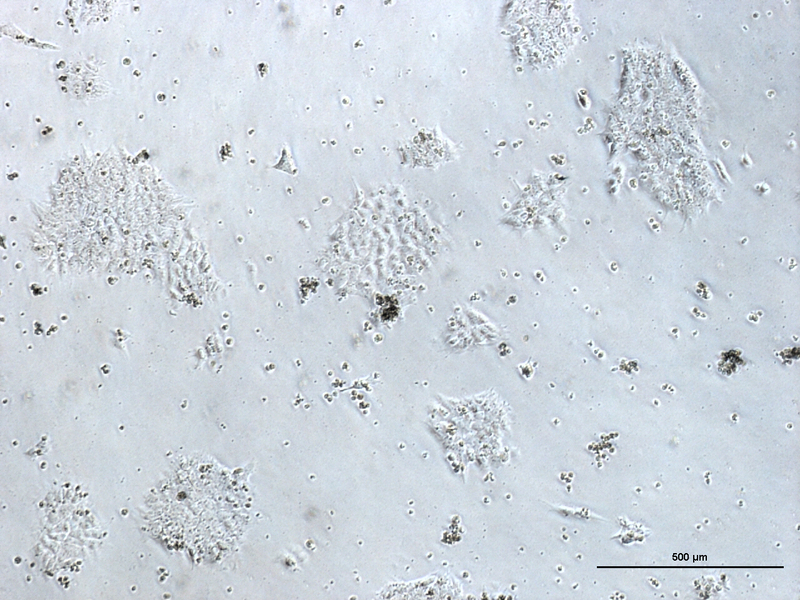 Generation and Microrna Expression Profiling of Colorectal Cancer Cell-Derived Induced Pluripotent Cancer Cells. Diss. UTAR, 2016. N. Nishishita et al. 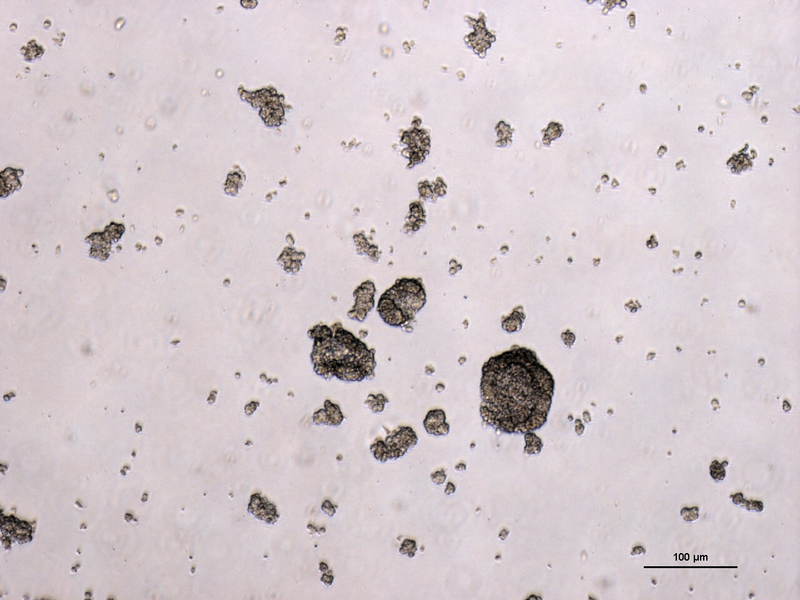 An effective freezing/thawing method for human pluripotent stem cells cultured in chemically-defined and feeder-free conditions. American journal of stem cells 4.1 (2015): 38. Kundrotas, Gabrielis, et al. Identity, proliferation capacity, genomic stability and novel senescence markers of mesenchymal stem cells isolated from low volume of human bone marrow. Oncotarget 7.10 (2016): 10788. Kundrotas, Gabrielis. Investigation of human mesenchymal stem cell genetic characteristics to ensure therapy safety. Diss. Vilnius University, 2016. 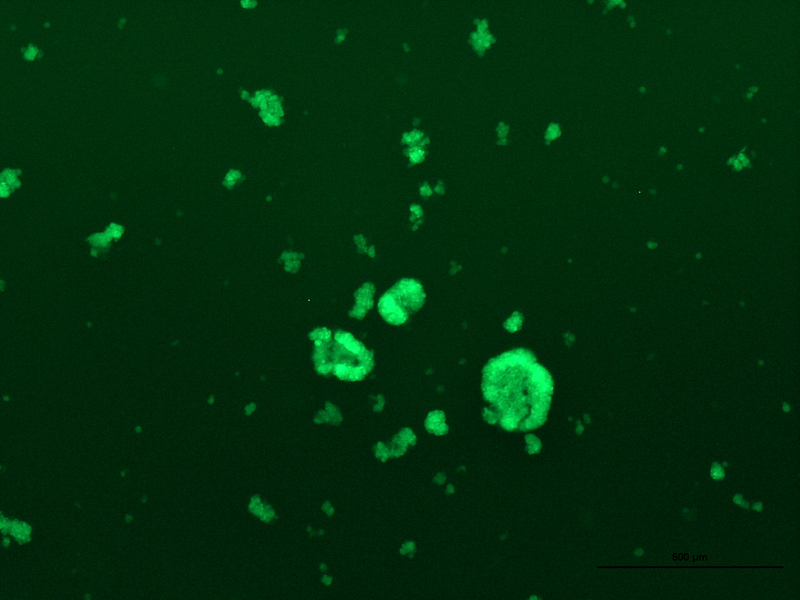 E. Nigro, E. Soprana, A. Brini, et l., An Antitumor Cellular Vaccine Based on a Mini-Membrane IgE. J Immunol 188:103-110 (2012). Amit, Michal, and Joseph Itskovitz-Eldor. 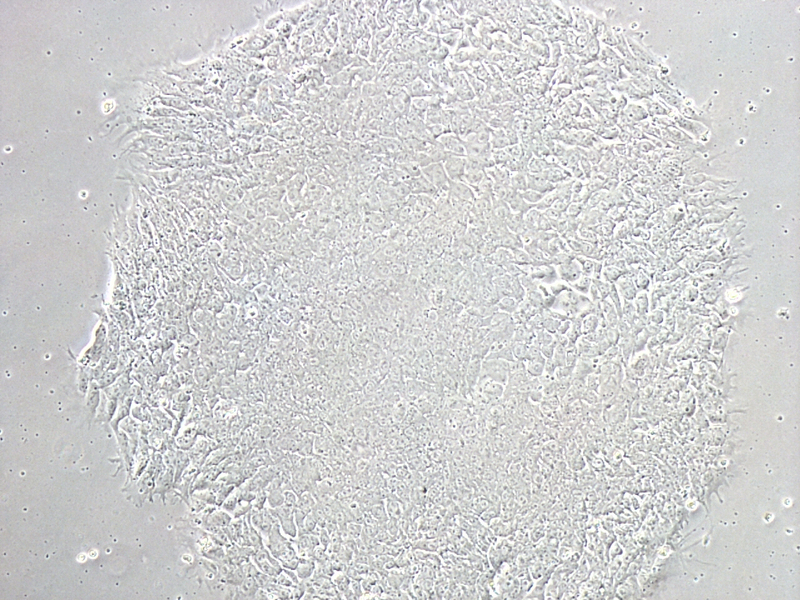 Novel methods and culture media for culturing pluripotent stem cells. U.S. Patent Application 13/821,244. De Falco, Elena, et al. 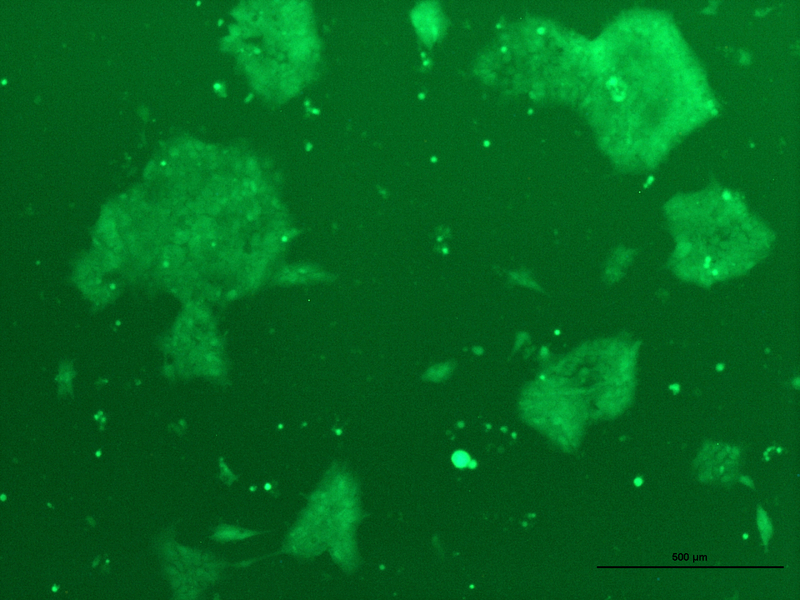 A standardized laboratory and surgical method for in vitro culture isolation and expansion of primary human Tenon’s fibroblasts.Cell and tissue banking 14.2 (2013): 277-287.